LANI B. DAVIES is a graduate of Bachelor of Science Education - major in Mathematics from Philippine Normal University, Taft Avenue, Manila. She has a wide educational background and exposure in HR Administration accompanied with administrative writing skills. She applied these skills for Twenty (20) years working experience as Administrator in various firms, both foreign and domestic. These companies associated with Engineering/Construction, Oil and Gas, Export/Import (wooden-based products/logging/food), Housing and Steel industries. She was exposed to procedures and work practices, client policies, legal contracts and negotiation skills. Further, Lani being a QMR (Quality Management Representative) ensures that the requirements specified in the QMS Manual, PNS: 196:2000 and ISO - 9002 are implemented and maintained. She reported on the performance of the Quality System to the management identifying the quality improvement and opportunities. 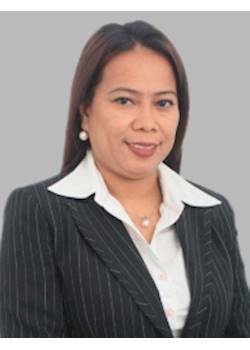 Lani joined LINK Philippines to accept the challenges of being a Business Broker which can provide significant insights into many crucial factors that can affect the marketing and sale of your business.